Aged Care Assessment Teams (ACAT) are your key link with aged care centres. 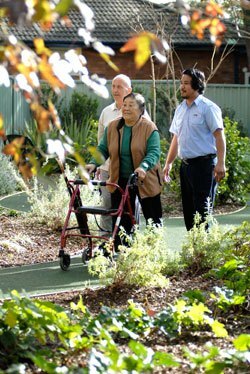 They make an assessment about your care needs and you need approval from an ACAT to move into an aged care centre. ACAT are teams of health professionals, such as doctors, nurses or social workers, who provide assistance, information and advice to older people having difficulty living at home. It is the ACAT team that decides whether a person is eligible for entry into an aged care facility, whether they are high or low care and whether they are eligible for permanent and or respite care. You can contact an ACAT directly or your doctor, health centre or local hospital can provide a referral to the ACAT nearest to you. An aged care assessment involves a visit from one or two members of the ACAT team. They will ask you questions about your health needs, lifestyle and the activities you find difficult to manage. In order to complete the assessment, the ACAT may, with your approval, get information from your doctor about your medical history. When the assessment is completed, they will then be able to discuss your options and give you information about the services that may be suitable for you. You will be given a copy of your assessment. This may be left with you at the completion of the assessment or posted to you. This assessment will tell you whether you are eligible for residential aged care and what level of care applies to you. Please contact the facility you are interested in to arrange a visit and discuss entry requirements.